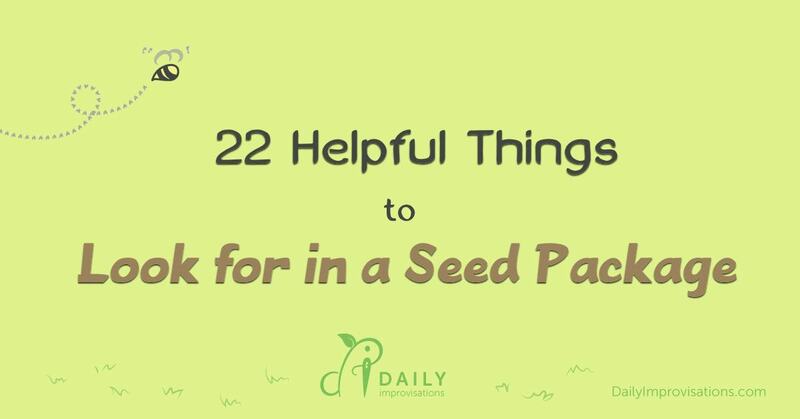 Do you know how to read a seed package? 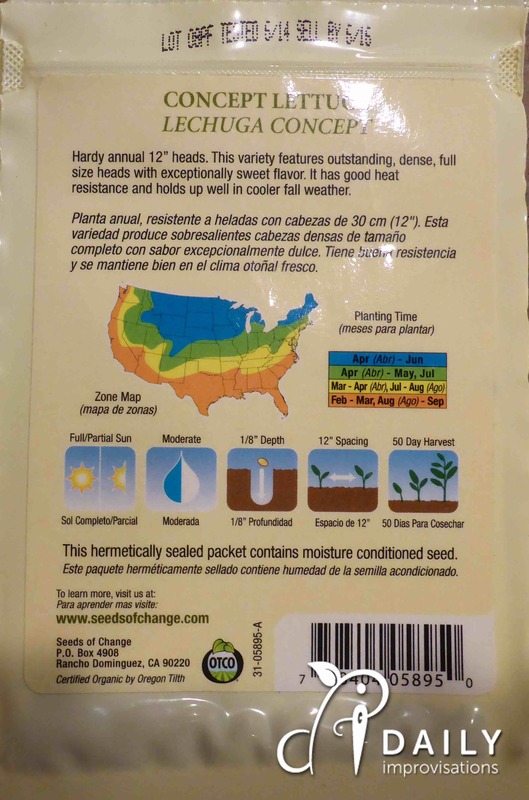 How much difference can seed packaging make? In some ways it might depend on your gardening experience. However, even if you are fairly knowledgeable, there are so many varieties of plants, that just knowing the general type of plant is often not enough. Photo of plant – I understand that photos can make packaging more expensive, but it can be very helpful in knowing what to expect and how to prepare for it. 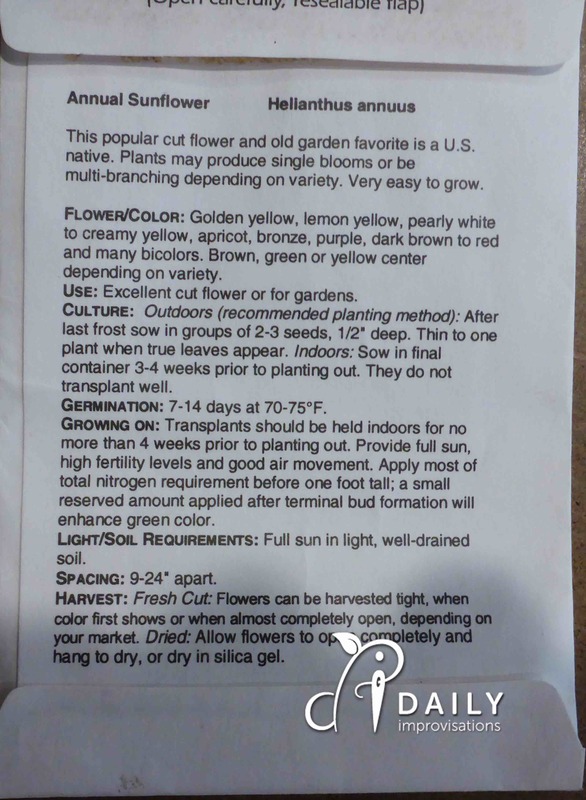 Even if you buy from a seed catalog, having the photo right with the seeds or available in case the variety is removed from a website is nice. I am always aware that the most perfect selections are going to be the ones photographed. Also, I have learned to look for things like comparative objects or flowers bunched together. There are definitely some seed companies that I like that don’t have photos on their packages. 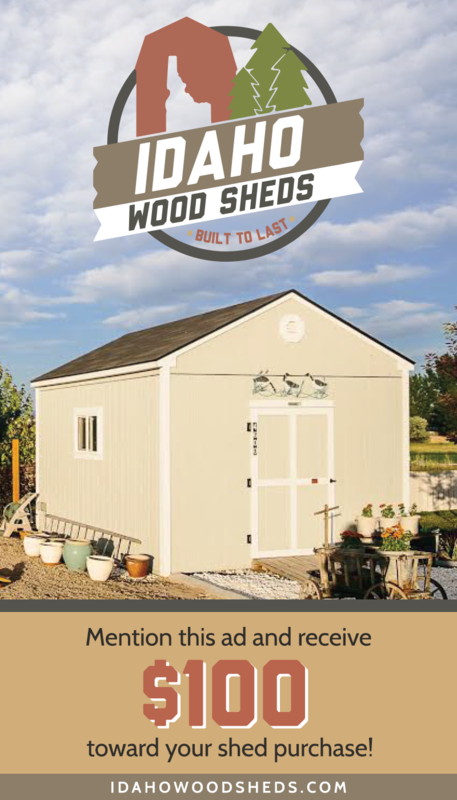 I am thinking of cutting the photo from the catalog (or printing it from their website), to attach to the seed package. A longer term option is to take a photo of the plant and produce you grow, especially if you save seeds or will plant a favorite variety again. Seed qualities – These things will affect whether I save the seed, how long I can store it, how well I can expect it to do in my environment, and what precautions I might need to take. Here is a variety of seed packages from my supply. 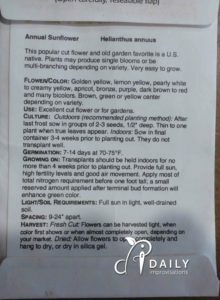 Specific growing information – This may sound like a no-brainer, but I have purchased seeds that only have general growing information on them. Even with my many years of gardening experience, if I am trying a new variety or plant, I really like to the instructions to be specific. Seed package material – Most seed packages are made of sturdy paper. The pros to this are that the seeds do not retain moisture and it is less expensive. If you live in a more humid environment, this will also mean the seeds can absorb moisture and may not last as long unless you keep them more tightly sealed. Paper packages can also be harder to design for re-closure. Some come with a resealable top flap. They tend to dry out over time, but are usually useful for the sort term. It is better than the paper packages that can only be ripped open and never quite stay folded closed. A few companies have zip-lock style plastic packages. The ones I have used are very sturdy. One odd problem is the build up of static electricity that makes smaller seeds stick to the inside and difficult to pour out. I have seen a few seeds sold in thin, spineless plastic baggies that are stapled shut. These may be nice to actually see the seed when buying it, but they are very inconvenient for storage. They don’t hold a given shape, so spill easily. All of the packages I have mentioned are flat, which has definite space advantages for storage. I have purchased some small jars for seed saving. They stack fairly well, have tight fitting lids, and can include packets to help reduce moisture retention. They do take up more space. 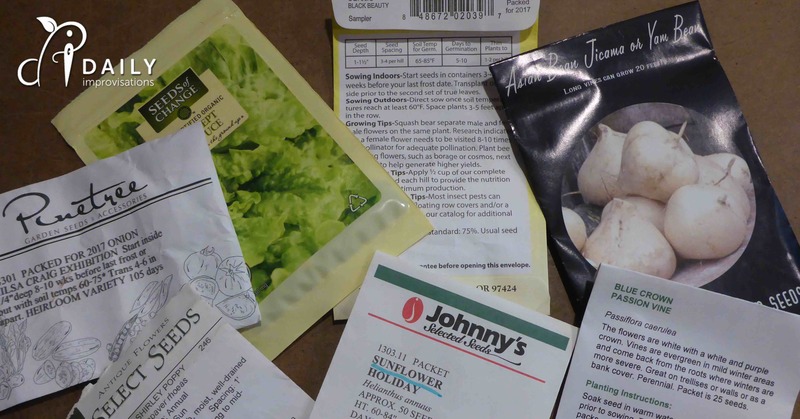 With the exception of not having a photo, Johnny’s Selected Seeds probably has the most thorough information of the companies I have purchased from so far. Company information – Most companies reasonably use some space for branding, including how to find them again. This is particularly important for internet companies. When I also see a phone number, it makes me extra interested in doing business with them. A little bit of basic knowledge can go a long way with growing most common vegetable garden plants from seed. I wrote 8 Keys to Starting Your Own Seeds last month to help take unnecessary struggle and strain out of it. If you really want to be a seed nerd, you may find the article on All the Seed Terminology You Need to Know interesting. Of course, actually using seeds will teach you about them in ways that just reading about them can’t. So, go get your hands dirty and start some life!